The design of the Tonale is an expression that looks fondly into our future. 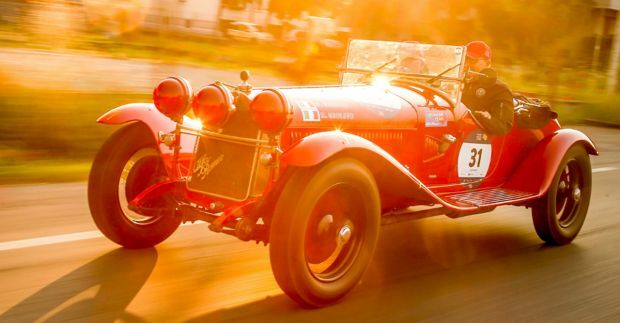 Its compact dimensions embody unique Italian design and the unmistakable original and modern style typical of Alfa Romeo, striking the perfect blend of valued heritage and anticipation of new precepts. Alfa Romeo holds dear the essence of Italian art and sculpture, through the timeless “artigianale” experience of hand sculpting. The Tonale is inspired by the beauty and nuances associated with human forms, and the organic movement of light resulted by pure lines and volumes. Its design tangibly recalls a number of time-honoured design elements that are synonymous with the rich history of Alfa Romeo, with an execution that excites a modern approach to the new Alfa Romeo anatomy. An element that echoes the tradition of the Alfa Romeo DNA is the phone dial wheel. The Tonale’s 21″ wheel design displays this through a lightweight architectural construction, creating an honest and impactful execution of the circular theme. The lineage of the phone dial wheel dates back to the 1960’s, worn proudly on the iconic 33 Stradale. The distinctive Tonale wheel design is also celebrated harmoniously with an exclusive Pirelli tire scheme. The bold, elegant volumes of the body side make reference to a seemingly distant past, recalling the sensual qualities found it the pure forms of the Duetto and the Disco Volante Spider, while the Tonale’s “Linea GT” interprets the tension and confidence of the pouncing stance found on the beloved GT Junior. The front end sports Alfa Romeo’s signature “Trilobo” and the distinctive “Scudetto” grille that serves as the central point of strength, driving the speed and fluidity that moves throughout the Tonale. Flanking the iconic “Scudetto” and completing the front monographic is the “3 plus 3″ forward lighting that evokes the proud gaze reflective of the SZ and Brera. The rear of the Tonale is elegantly defined by an enveloping window volume, complemented on top by the suspended wing that enhances the continuity between the transparent roof and the rear window itself. As every Alfa Romeo design is cared for through the human touch, the rear lighting is reminiscent of an artistic signature, rather than an optical lighting element…a sort of luminous signature born directly from the artist’s hand. The driver’s attention will be on the road, with the peripheral focus on a 12.3″ full digital cluster and a 10.25″ touchscreen central head unit. The new infotainment features a seamless and fluid multitasking interface that allows the driver to have all the latest features and functionality readily available at their fingertips. 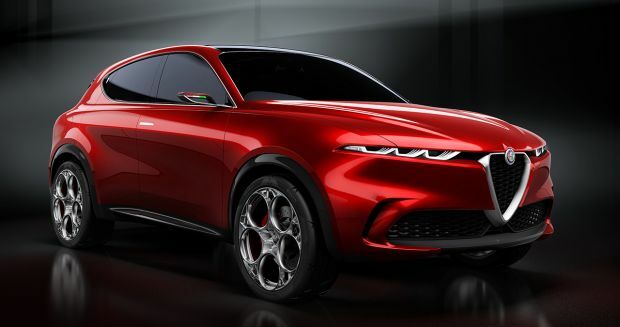 The Tonale allows the driver to be fully connected to the Alfa Romeo Lifestyle and Social communities, realized and presented through the new infotainment features, “Alfista” and “Paddock“. “Alfista” is an immersive Alfa Romeo Lifestyle experience, providing a fully connected interface with select Alfa Romeo clubs and Community events, such as gatherings, drives, and meets. This in-vehicle app allows the driver access to live news and updates about the current happenings of the Alfa Romeo Brand. 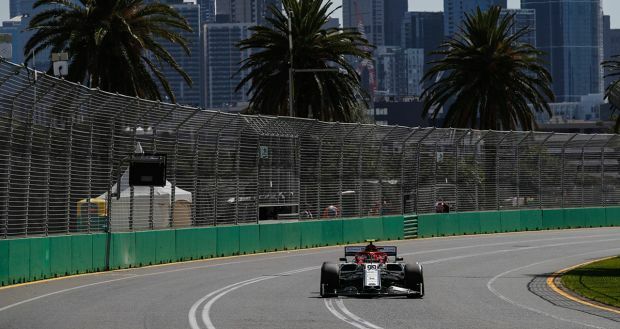 The customer has the ability to confirm attendance to events and gatherings, order Alfa Romeo Racing tickets, as well as apply for opportunities to win VIP access to special Alfa Romeo sponsored Events, just to name a few. …otherwise expressed as our Alfa Romeo Tonale. The Tonale marks the debut of the brand in the compact utility vehicle segment and does so in line with the characteristics that have always identified each Alfa Romeo model. The goal is to deliver the best driving dynamics in the segment and to apply electrification in perfect Alfa Romeo style. It is the natural evolution of the brand on the way towards propulsive synergy capable of enhancing performance and driving dynamics. Rather than simply adapting to new standards, with the Tonale concept car Alfa Romeo is reinterpreting its own DNA to capture the new idea of beauty, energy, harmony, efficiency and driving user-friendliness. The electrification of Alfa Romeo comes at the service of sportiness and emphasises the famous “Mechanics of Emotions” mission of the brand. For this reason, it has no need to express itself through signatures or decided livery, but just with small details such as the Alfa logo, or “Biscione” in hybrid optics, a small yet definitive detail that enhances the Tonale. The rear electric engine opens the way to new technological solutions that offer driving dynamics, maximizes the drive and the pleasure of sporty driving. The evolution is also evident in the drive modes managed by Alfa D.N.A. From the beginning on Giulietta, Mito and 4C, and through the development with Giulia and Stelvio, it has reached the Tonale and now implements specific energy management functions. With Tonale, the “Dynamic” mode evolves into “Dual Power” and guarantees the maximum output from the two engines. The infotainment touch screen features an E-mozione button, which offers specific throttle settings, sharper braking and more direct steering response. “Natural” mode continues to maintain the best performance optimization, and the compromise between using electric and internal combustion engines is managed automatically. This translates into everyday energy and fuel savings, but not at the detriment of performance. The “Advance Efficiency” mode becomes “Advance E” for performance in full electric mode. So, in line with the principles of the brand, the plug-in hybrid propulsion enhances the beauty, sporty and dynamic driving characteristics of each Alfa Romeo model, taking them to a new level. In Tonale, electrification embraces performance and represents a new way to achieve high performance and outstanding driving fun. For the Geneva International Motor Show, Alfa Romeo will be introducing the Giulia Quadrifoglio and Stelvio Quadrifoglio “Alfa Romeo Racing” limited special editions equipped with an exclusive carbon fibre Aero Kit designed in partnership with Sauber Engineering. This exclusive feature reasserts the ever-deeper bond with the world of Formula 1. 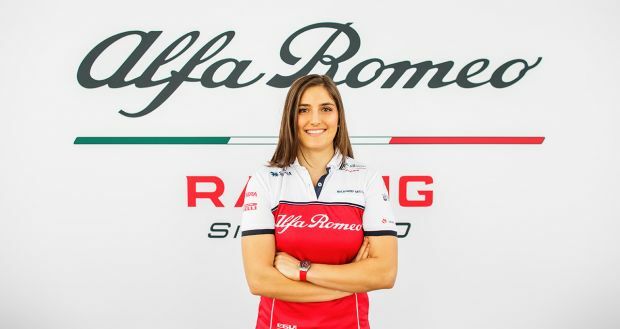 The special editions celebrate the racing legend of Alfa Romeo and the return of an Italian driver to Formula 1 now that Antonio Giovinazzi has joined World Champion Kimi Räikkönen on the “Alfa Romeo Racing” team. Far from being a cosmetic kit, it is a piece of technical equipment that improves the aerodynamic performance of the car by increasing downforce and enhancing the already excellent dynamic qualities of the Quadrifoglio versions. The already exciting driving experience of the Alfa Romeo Quadrifoglio is even more powerful. There is a special privilege for twenty lucky drivers. 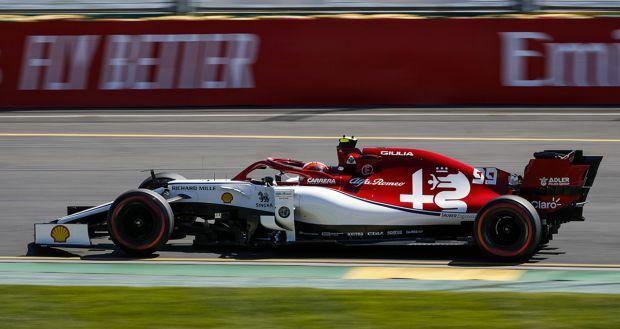 Over the year, ten Giulia cars and ten Stelvio SUVs will be available to represent the ten victories of Alfa Romeo in Formula 1, each one sporting a dedicated badge bearing the name of a Grand Prix won by Alfa Romeo and the corresponding year. Giulia and Stelvio Quadrifoglio “Alfa Romeo Racing” customers will be invited to live a complete and dedicated customer experience. 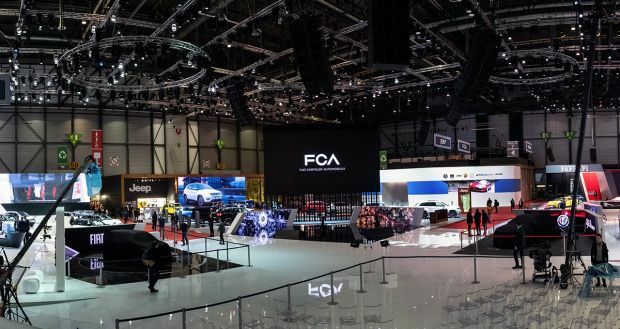 Starting from the Geneva Motor Show, they will be able to express their interest in purchasing a car through the official Alfa Romeo channels.